For businesses already in the cleantech and renewable energy industries that are looking for a location that gets what they do, or looking for a state that offers businesses cleaner alternatives to traditional energy sources at competitive prices, New York State is a leader. 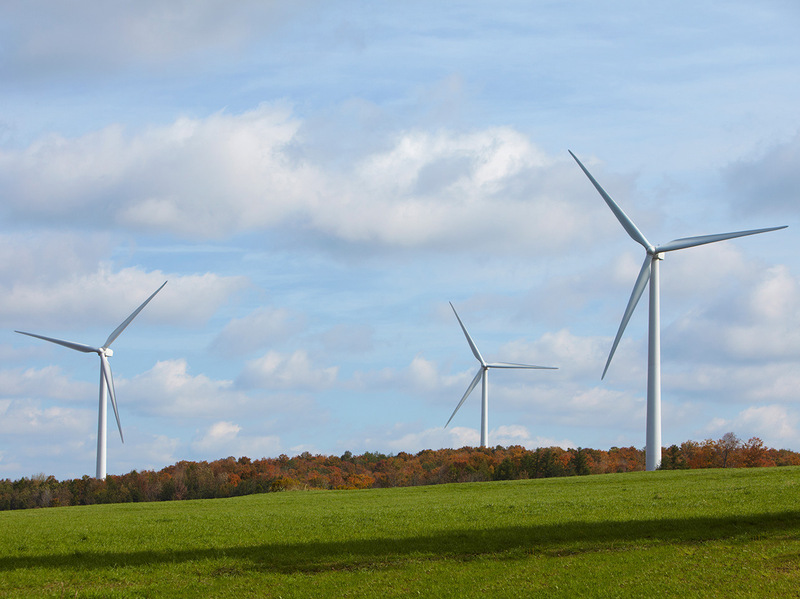 New York State is committed to a cleaner, greener energy future—leading the U.S. in wind- and clean-technology patents, renewable energy resources, the development of new energy storage products and systems, and biofuel manufacturing and production. To meet the state’s goal of at least 100% electric generation from renewable sources by 2040, Governor Andrew Cuomo is targeting off-shore wind, increased energy storage and greater energy efficiency. This supplements New York’s ongoing efforts to develop and deploy solar, wind, geothermal and other renewable products and systems via established university-industry collaborations and state initiatives supported by the state’s Clean Energy Fund and Green Bank. New York has an abundance of clean, inexpensive hydropower. Since 2011, solar in the state has increased nearly 800% and leveraged nearly $1.5 billion in private investments. There are over 8,000 solar jobs across New York. Over 2,000 megawatts of wind energy are being produced in New York State, with one of the largest wind farms east of the Mississippi River, capable of producing 320 MW, located upstate along Lake Ontario. In 2018-19, NY will issue solicitations for the development of at least 800 more megawatts of clean, renewable wind power off the shore of Long Island. The State’s 2018-19 budget proposed $200 million to meet an unprecedented Energy Storage target of 1,500 megawatts by 2025. The State’s 2019-20 budget proposes $200 million to upgrade ports for use by the brand new Offshore Wind industry to not only assure that New York can meet its nation-leading goal of 9 MW of wind power by 2035 but also to help attract related manufacturing. New technologies and investment in energy storage are creating local hubs in and around Rochester and Binghamton. IBM’s former Huron Campus in Endicott will host a new, lithium ion battery gigafactory as well as a lithium ion battery recycling operation. Both New York State Energy Research and Development Authority (NYSERDA) and New York Power Authority (NYPA) are vital partners for cleantech initiatives in New York State. The $20 million 76West competition, administered by NYSERDA, is growing clean energy innovators in the Southern Tier. Clean energy companies have been among the winners of the $5 million 43North startup competition, fueling innovation, investment and entrepreneurship in Western New York. A broad spectrum of financial and technical assistance is available to help New York State firms capture the economic benefits of clean manufacturing and greener, low-cost power.